Wish to send some hearty gift which they could treasure with a smile on their face, then you should opt for one of our personalised accessories engraved with loads of love in it. Send customised accessories online through Floweraura and delight your loved ones today! What is the most unique thing you gifted to your mother, father, brother or sister? Can’t remember? Well wait no more and visit FlowerAura website for some of the most unique gifting ideas. We bet you won’t be disappointed. With the vast range of custom accessories, FlowerAura is ready to please you with all its might. We have something for everyone. Imagine something quite contemporary in looks personalised with the names of your near and dear ones on it. They will treasure it more than anything because it lends a sense of belongingness to the person who owns it. It becomes an important part of their life and they always look at it with a smile and reminisce of you. If you are confused as for where to get these personalised accessories from, then you have a one-stop solution on the website of FlowerAura. 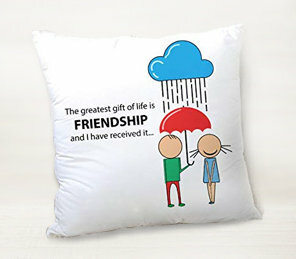 A gift should be such that could be treasured by the recipient and also have some utility factor. If you think about it, personalised gifts are the best fit that stands firm with both qualities. If you know your loved ones are ready for an exotic vacation next week, surprise them with a personalised passport cover and personalised travel accessories. You don’t have to worry a bit about customising it. FlowerAura will do it happily for you. For any special day be it Mother’s Day, Rakhi, New Year, Christmas, Father’s Day, Valentine’s Day birthdays or anniversaries, personalised accessories are one of the best presents you could opt for. Personalised accessories bearing the name and a lucky charm gives a personal, caring touch to the person whom you will gift it. You may find a gift for your loved one at a local market but when they are living at some distance from you, the problem of delivery of the product definitely arises. Sending a product from local courier might damage it and that is why FlowerAura is your best bet when it comes to gifting personalised accessories to them. Not only you get a wide range of products to choose from but the responsibility of engraving it perfectly and delivering it at the doorstep lies with us too. We understand the emotions with which a gift is sent and that is why we hate to keep you and your loved one waiting. We deliver the gift as early as the same day of placing the order and love to see them smile when they receive something specially meant for them. Apart from customised travel accessories, we also have a wide collection of personalised engraved gifts that you can’t resist gifting to your friends and family. So, if you are staying away from your near and dear ones and don't visit them often but love them with all your heart and wish to send a token of love at their doorstep, then FlowerAura is ready to do it for you, happily!